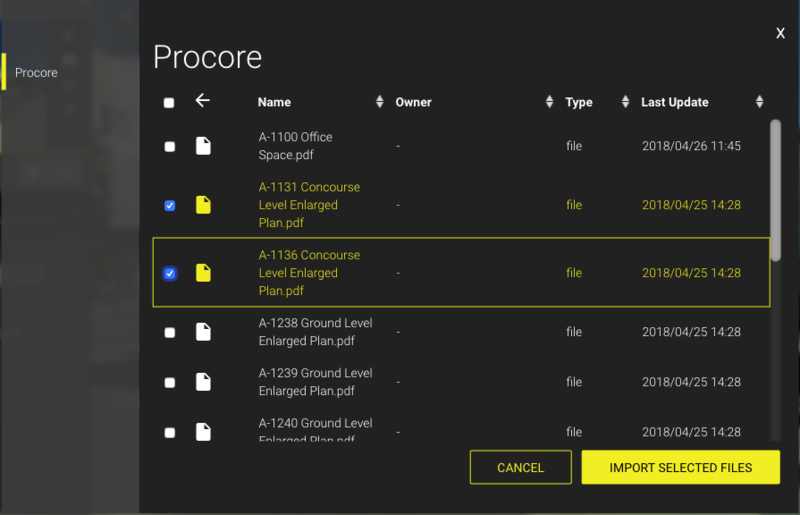 Leverage our Procore integration and import objects directly into your HoloBuilder project. 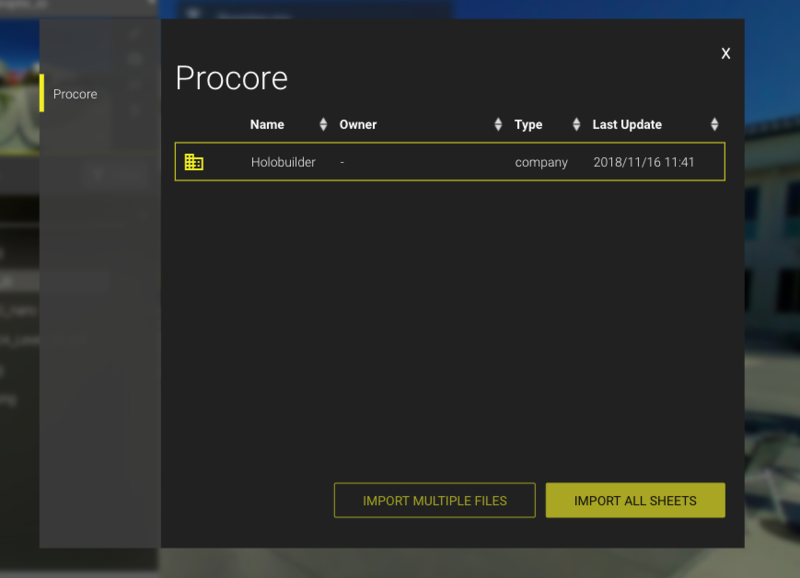 You can import sheets or images directly from Procore into your HoloBuilder project with a few simple steps. Click on the + button in the lower left corner, which will open the upload window. 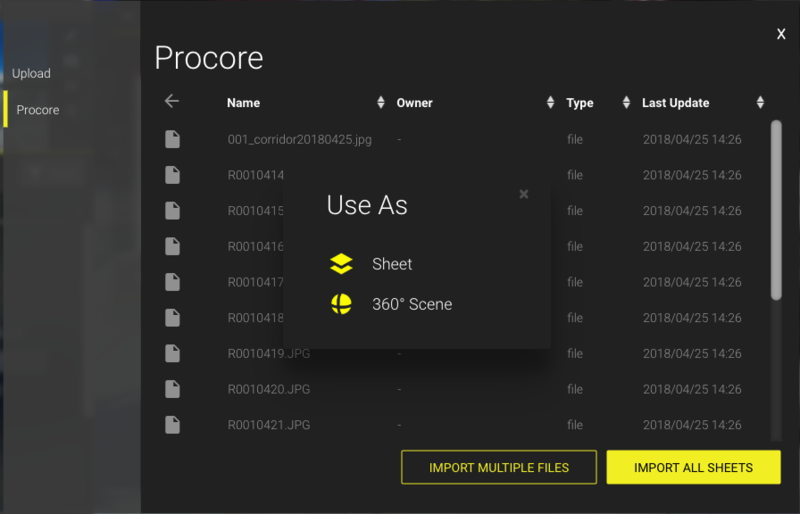 Select 'Procore' in the left panel to change the source from where to import files. In the dialog window, click on the Company name ('Holobuilder' in the image above) and then on the respective project in the list. The list of files and folders of the selected project will appear. You can choose to import all files in the open folder by clicking on 'IMPORT ALL SHEETS'. If you only want to import a single file, click on the file in the list. You can then select all desired files buy checking the boxes on the left side of the list. You can even import images as sheets, see below for more information. After selecting one or several files and clicking on import, a dialog will appear where you can choose whether you want to use the files as sheets or 360 images.